With large global companies pouring billions of dollars into the Bangalore real estate market, the competition for filling up office space in business centers and tech parks has become fierce. How do you stand up to a $5 billion competitor who throws open the gates with 2,000 seats in a brand new shared office space center? Specifically, what are the things you can do to enable your sales team, and help them sell office space? 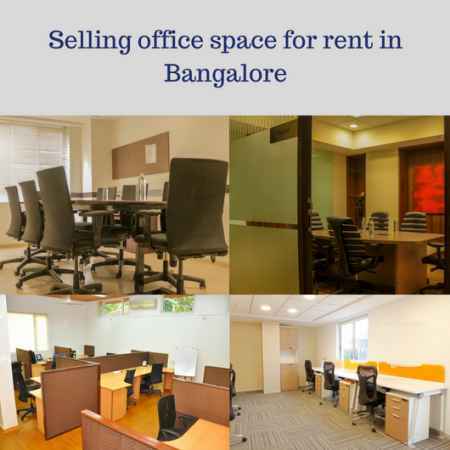 This post is about the business of selling office space for rent in Bangalore, from the point of view of organizational support to enable a sales representative or sales manager. 1. Alignment of marketing and sales. There are agreements and factors that can be calculated down to a proper science, if you want to align marketing and sales. But we have a very simple formula – put the leadership of our sales and marketing teams in the same room every day in the morning and extract reports on what is happening. They can’t blame each other, and they are forced to work together before and after the meeting in order to come up with some reasonable answers. It doesn’t mean they always work together to generate and convert leads. At the very least, they’ll still work together to come up with matching stories about why some leads didn’t convert. That kind of alignment tends to build up teams, and they’ll eventually start working together. Marketing will talk to Sales and find out what kind of leads they should be generating. Sales will respond promptly to the leads, and seek support from Marketing for engaging leads and any connections they need to help initiate a meeting with a client. 2. Customer marketing to retain existing customers. 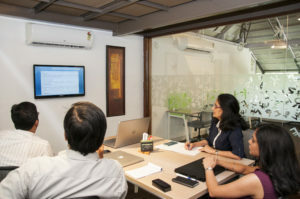 Getting a company, whether it’s a startup, SME or enterprise branch, to rent some office space in one of our business centers in Bangalore is just the first step in an ongoing exercise of customer engagement. At the end of the year, if they’re not happy with their space, the service and the facilities, they’ll move out. Then it gets a lot harder to fill that newly empty space. It’s always easier to keep your existing tenants than to generate leads and close a new transaction. 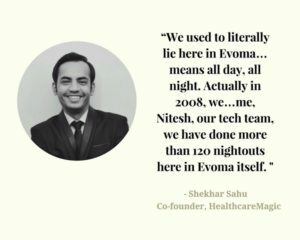 So we, as in our operations, sales and marketing teams, spend a lot of time and resources on marketing Evoma to our existing customers. This is done through newsletters, invites to events, free and discount offers, and just plain and simple networking to keep in touch and ask them how they’re doing, if they need anything, and if you can help them with anything. It makes things easier when you want a client to renew their office space contract for another year. They don’t feel like you’re only coming back to them once a year, if you’re meeting with them regularly – casually and without an agenda. 3. Focus on your key selling point. Unlike multinational office space companies who pour millions into branding and advertising, we work with a limited budget that is tightly focused on highlighting our key selling point – tenants at Evoma are part of the family. We’re here to incubate new businesses, and help accelerate your growth once you have all the startup pains sorted out. Members come to me all the time with problems and challenges. They call us not as office space managers, but as mentors and friends, to consult with us and find the best way forward. The second key differentiator is that we have by far what is the best business center in Bangalore, and the only one with office space that is also a 4-star business hotel. The facilities here include luxury accommodation for your guests, two of the top restaurants in Bangalore, a bar, swimming pool, gym, and indoor and outdoor venues for meetings and conferences and training sessions. So our members, and their employees, actually live here morning, day and night. They can work, eat, order room service, workout at the gym and do some laps in the pool, and sleep in the comfort of a home away from home. This is a key selling point that our sales team makes use of in their pitch to startups and enterprise customers who work round the clock, and want their office spaces to be almost livable for their employees, guests and customers. 4. Business support and partner services. As mentioned above, real estate is just a small part of what we do. There’s a lot of value in the personalized attention and customized office space solutions we provide, in addition to partner services and mentorship for marketing, funding, sales and branding. 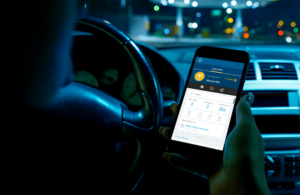 Another thing we’re doing is trying to make it easier for our own members to connect with each other through a B2B community app that’s accessible only to members, as part of the Evoma ecosystem of startups and SMEs that work together. 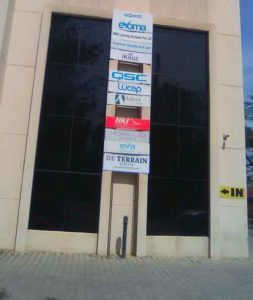 Our startups are some of the most innovative tech startups in Bangalore, and they work with many of the small business and enterprise branches located in the same building. The SMEs likewise have added many of our startups as their customers. 5. 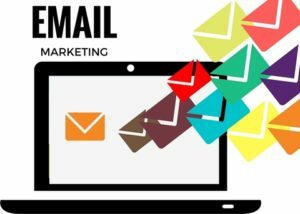 Email marketing with instant notification and response. Office space sale is as cutthroat a business as you could be in. Prospects ask around with all the different companies for rates, and they could already be moving their office furniture into your competitor’s space while you’re still preparing your proposal, hoping to convert it into a solid lead that you can chase. That’s why we have developed a system of instant notification and response for our inbound and outbound email lead generation and management. We have plugins to generate leads and pipe them directly into our CRM from forms on this website, social media and email marketing. An instant notification goes to the sales team member who handles the service the lead is asking for, and the customer gets a call back instantly. The idea is to enable the sales team to talk to customers first, before the competition responds. As far as possible, we try to close the deal quickly before it turns into a bidding war with competitors. If that’s not possible, the instant notification and response at least ensures that the customer puts us on the shortlist of office space locations they want to move in to.